Every organization requires a happy, motivated, and engaged workforce to succeed, which is especially true in the healthcare industry. Gallup and Loma Linda University Medical Center conclusively discovered that employee engagement and employee safety work in tandem to significantly enhance patient satisfaction. They also concluded that low levels of employee engagement can have a devastating effect on patient care. In a hospital or other healthcare environment, your employees will always be among the most valuable resources that you have. These hardworking men and women have dedicated large portions of their lives to providing care for patients daily. On the “front lines,” they are giving their all to ensure that their communities and the residents within are as strong as humanly possible. In an era where the federal government recently made $371 million worth of Medicare payment cuts to 721 hospitals, it’s not easy to be a healthcare professional. Because the industry is more “people-intensive: than most, when those people start to struggle the larger organization does as well. Patients have come to rely on four key factors from their healthcare providers: level of care, compassion, commitment, and dedication. 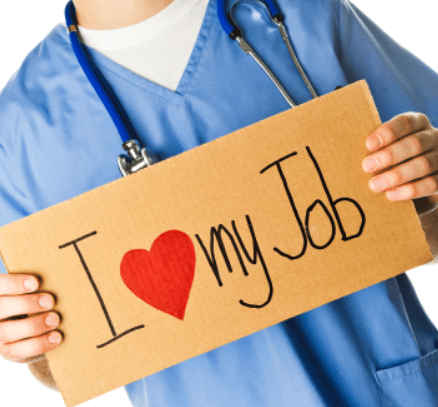 Engaged employees feel like their contribution is meaningful to the organization they work for and is a critical component to patient satisfaction. An employee engagement strategy must be at the heart of your daily goals. According to a recent study, 70% of workers in the United States say that they are not currently engaged at work. The same study revealed that 89% of employers THINK that people leave one organization to work for another because of money – they found an employer who will pay them more, so they jump at the opportunity. The reality is quite the opposite: only 12% of employees say that they leave to take a higher paying position elsewhere. Why ARE so many people unhappy enough to quit their job? Seventy-five percent say they are quitting their bosses. Employee engagement, particularly within hospitals and healthcare systems, requires a total buy in, starting at the top. If leadership in an organization doesn’t proactively generate opportunities for employees to be engaged, the only thing you can guarantee is that they won’t be. Take a look at this survey result:, 79% of workers who responded truly believe that their current boss does not care about their happiness. Of that number, only 30% would consider leaving and taking another position. The remaining 49% of employees would simply continue to be disengaged. This is a disservice to the organization and the people it is devoted to serving. “Disengaged employees harm the healthcare employer in a way that matters significantly – the ROI, or “Return on Investment”. Organizations with high levels of active employee engagement outperform those with lower levels of engagement by as much as 202%. Disengaged employees cost organizations $450 to $550 billion annually in lost productivity. According to one major analysis conducted by Gallup, organizations with high employee engagement scores tend to have 70% fewer safety incidents every year. A group of researchers in the United Kingdom found that happier, more engaged employees tend to be about 12% more productive than average. Organizations with high employee engagement saw absenteeism levels that were 37% lower than average. Roughly 43% of disengaged healthcare workers are actively seeking employment elsewhere right now. That’s time that they’re not spending focused on your patients, your outcomes, and your objectives. The recurring theme should now be clear. A lack of attention to employee engagement doesn’t only cause the quality of your workforce’s labor to suffer. It is literally costing your organization money. In a healthcare environment where every cent counts, this is the exact opposite of what you need. When you consider the 43% correlation between engagement levels and turnover, things get worse. It will always cost more money to retain a current employee by keeping them happy, than find and onboard a viable new candidate. That’s why high employee engagement levels ultimately help your ROI. Not only are your engaged employees doing better work (and calling out less frequently, making fewer mistakes, etc. ), but those engagement levels also make it far easier to attract and retain top talent. Once you realize that money is rarely the reason someone chooses to be engaged with their job or not, you can take a closer look at qualities that employees do find important. According to a study conducted by Udemy, 42% of employees say that learning and development are the most important benefits when deciding where to work. Another study by Bridge revealed that employers who offer career training and development services would keep 86% of staff who make up the millennial generation from leaving their current position. Employees must be selected based on talent. When hospital leaders purposefully source, select, and hire the best employees, it creates a positive ripple effect that is felt across the entire organization. Manager selection is seen as the single most important hiring decision that healthcare leaders can make. Employee development must be a top priority and it must be ongoing. The statistics revealed above illustrate that hospital leadership should always implement a strengths-based approach when it comes to developing talent from within. 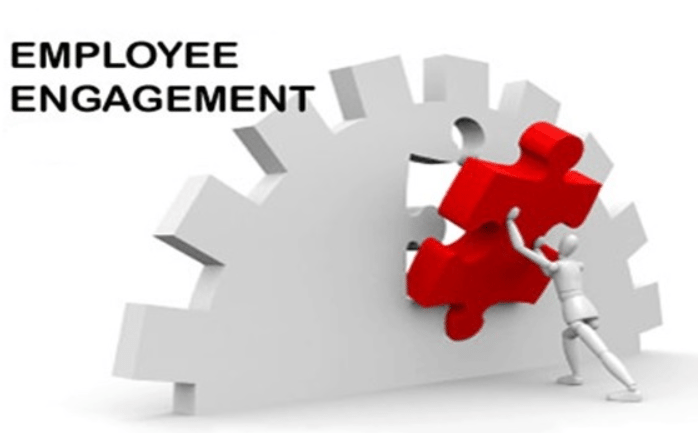 By creating a system that helps to focus on employee assets the entire organization grows one department at the time. Engagement starts at the top. Never forget the phrase “people don’t quit their jobs, they quit their bosses.” Employee engagement begins when leaders and other high-ranking officials get together to implement plans to create and grow engagement. Leadership sets the tone, which trickles down to the managers, which eventually makes its way to the employees themselves. Perhaps most important, is that employee engagement is not something you “do once and forget about,” especially in a hospital setting. An ongoing effort is required. Only by being proactive and acknowledging just how fragile employee engagement is – will you be able to create the type of positive trend that will sustain both your organization and its workers for years to come. This simple idea is at the heart of any employee engagement strategy and it’s one that everyone must buy into and firmly believe in moving forward. Making an investment into your workforce is about more than any one employee. It’s a true and meaningful investment into the future of your healthcare organization in every sense of the term.